In this day of online electronic communications, they’ve become an indelible part of how we get our “written messages across”. 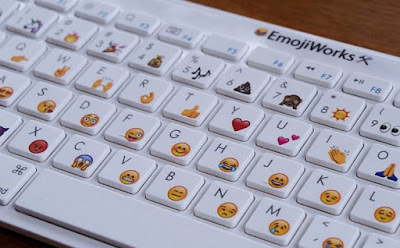 They are the “Emoji” (Japanese: “emo” from “emotion” + ji “logographic character”), alternatively “emoticon”, those quirky symbols that are supposed to represent a wide variety of emotional or symbolic ideas. From their basic beginnings as letters and symbols that form a meaning when read “sideways” like :D (smile), to a complex conversion system that transforms the crude :D into an actual smiley face icon, the development of emoji has grown by leaps and bounds, along with the sheer quantity of them with different yet similar meanings. Which is probably why, as The Daily Mail tells it a London company has become a pioneer of sorts in business by announcing the most unique employment opening ever. The position: emoji translator. You read right, this firm is in the job market for somebody who could, and I quote, “put together reports on emoji trends and developments as well as areas of confusion and cultural differences”. And the chosen applicant gets a competitive salary out of it too. But wait, you ask. What does “cultural differences” mean in the description? The thing is, certain commonly-used emojis turn out to have surprisingly different translations in various cultures, languages and even generations. Today Translations, the company in question, believes that the use of emojis in communication will only explode in popularity and prevalence in the future; which is why the firm is looking to get a head-start on researching cross-cultural differences in emoji interpretation. Consider the following, according to Today Translations founder and CEO Jurga Zilinskiene: There’s a certain emoji showing a face laughing so hard it has tears coming out of its eyes. The official creator of that emoji identifies it a “tears of joy”. Sounds reasonable from a western standpoint, but in the Middle East did you know that it’s used as an emoji for grief and mourning? And there are culture- specific emojis as well like in Japan, where computer subject teachers tend to mark a computing homework done very well by a student with a white flower icon, rarely used in that context anywhere else, if ever. The unusual job ad has gotten interested applications from over a hundred job seekers around the world. Today Translations, by the way, is a company that does what its name says, employing professionals to translate media content into another language or form. And the emoji translator spot they have already has a work assignment in store for the lucky applicant: a certain client who wants his diary translated into emoji. The client claims his children would love it.